I’m a work at home, stay at home mom. I do both… or at least I try to. I’m a personal trainer and health coach, with a travel obsession, and am married to a handsome web developer. I have three kids, all with their own personality and more energy than I can usually keep up with. One of my kids is usually eating a goldfish he found off the ground or jumping off something that is way too high and way too dangerous. It’s usually chaos and we are learning to dance in it. I have a passion for women’s health and specifically for moms. I hate dieting and believe that there isn’t a one size fits all answer to finding your healthy. I think we need to stop comparing ourselves to super models and give ourselves the time to figure out what works for us. I love all types of exercise, but believe it’s what we eat and put in our bodies that’s most important. The food we eat fuels everything and can affect our sleep, stress, weight and relationships with others. I’m a huge health nerd, get me talking about exercise and nutrition and you will have a hard time walking away. I don’t sugar coat anything on this blog, so if you are a mom with strong opinions please be warned. This isn’t a place for you to pontificate on your judgmental, there is only one best way to do it, type of parenting. I believe in making it work, which looks different for every mom. I don’t use cloth diapers. I do breastfeed. I hate cutting baby fingernails. And sometimes I turn the music up loud in the car when they get fussy. I’m not perfect (far from it) and that’s OK. I do yoga, run, group classes and sometimes I sit on my couch and don’t do anything. I eat fats, protein and (gasp) carbs. I hate diets that tell you not to eat carbs, how can you live without a baguette? Life is a balance and eating is easy if you keep it real. I’m learning every day to be a little bit more patient and a little bit more organized, but mainly I’m learning to dance in the chaos of life, embrace every moment, both good and bad, and always have a cup of coffee nearby. 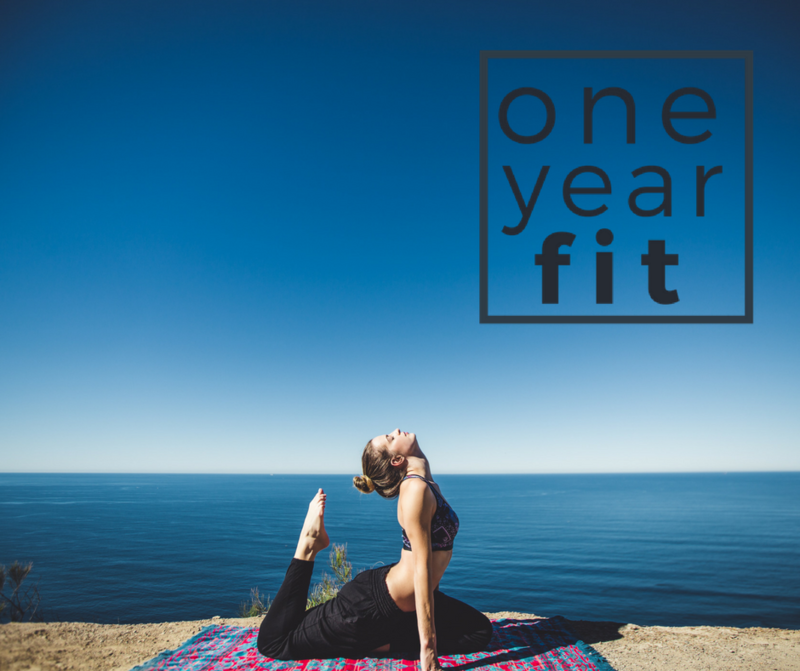 I created One Year Fit because I was tired of hearing about quick fix diets. I believe focusing on healthy habits and creating a lifestyle around those habits is the only way to be successful long term. I would love to have you join our OYF community and start keeping each accountable as we make big changes over the next year.